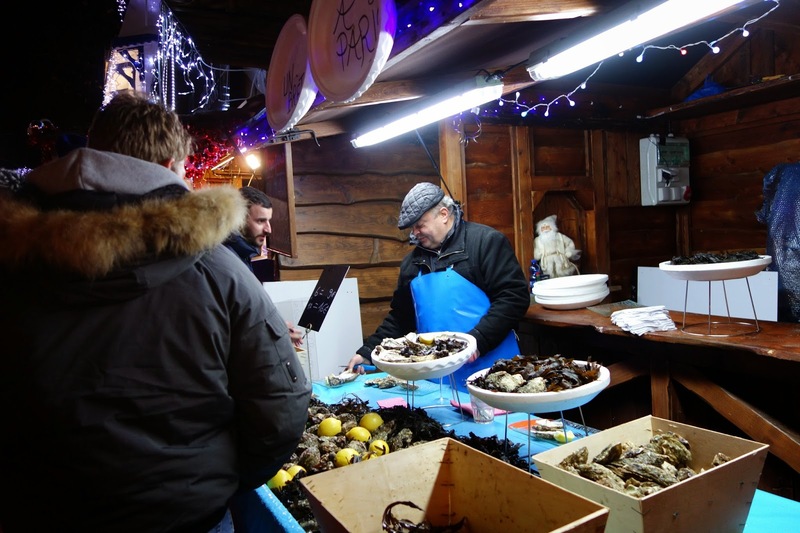 In my last article, I told you about one fabulous Christmas market in the US. 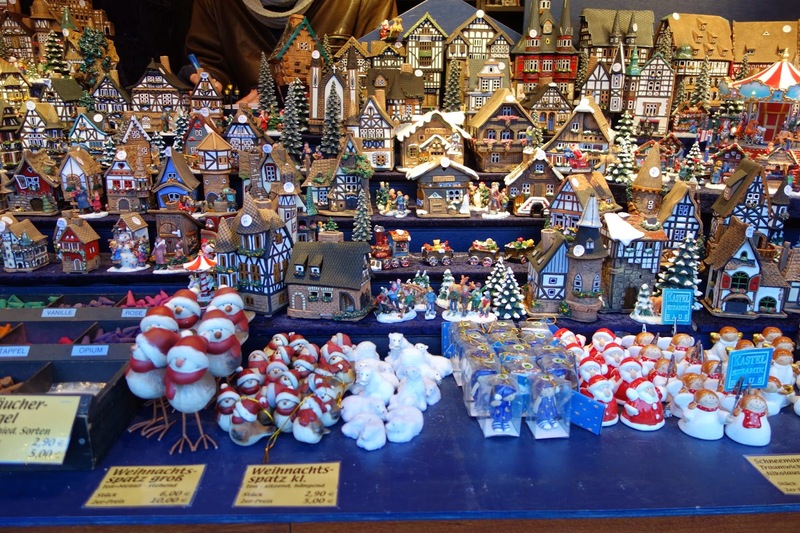 In this one, I’ll highlight some of the Christmas markets that impressed me most during my recent visit to Europe. In Paris, the Christmas market along the Champs-Elysee on the Right Bank stretches almost the full length of the boulevard on each side. It’s a bit of a challenge to explore all of the side-by-side booths, but it’s definitely worth it. 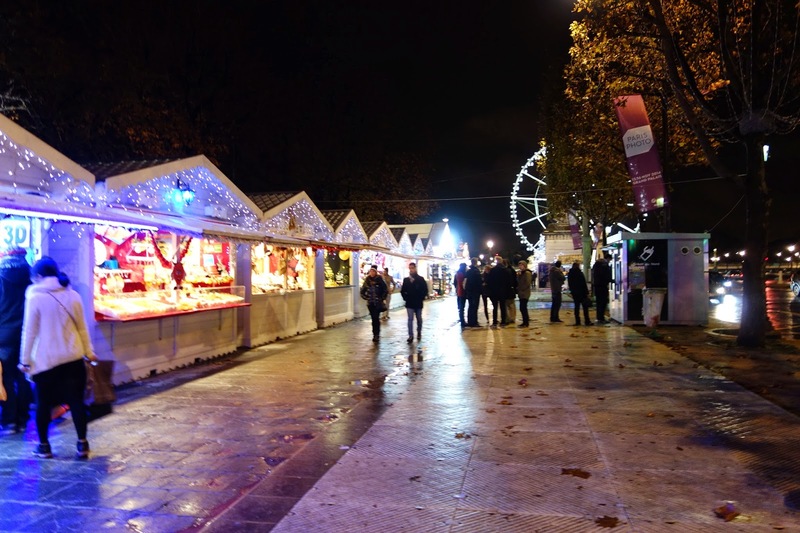 In addition to food vendors hawking beer tastings, oysters, hot wine, and sausages, you’ll find a bungee jump, a skating rink, and great arts and crafts as you walk towards the iconic Arc de Triomphe or the puzzling Ferris wheel, both strikingly lit at night. Looking for a place to stay that won’t break the bank? Leave the Right Bank and explore the lively Left Bank filled with its many restaurants, shopping, and nightlife. The cozy and charming Hotel le Senat at the corner of the Luxembourg Gardens is a great choice. Its breakfast room and lobby are intimate, and you can get a room with a balcony that overlooks the roofs of the city. Caring service by staff members, an uber-comfortable bed, and thoughtful touches like an honor bar and late-morning breakfast set-up in the lobby complete the experience. C’est vraiment magnifique. Another choice if you prefer a boutique, designer-ish feel is the Hotel Madison on Boulevard Saint Germain des Pres. More expensive and with more attitude, the hotel offers a winning location across from the church, just steps from literary landmarks like Café Deux Magots and Café de Flor. 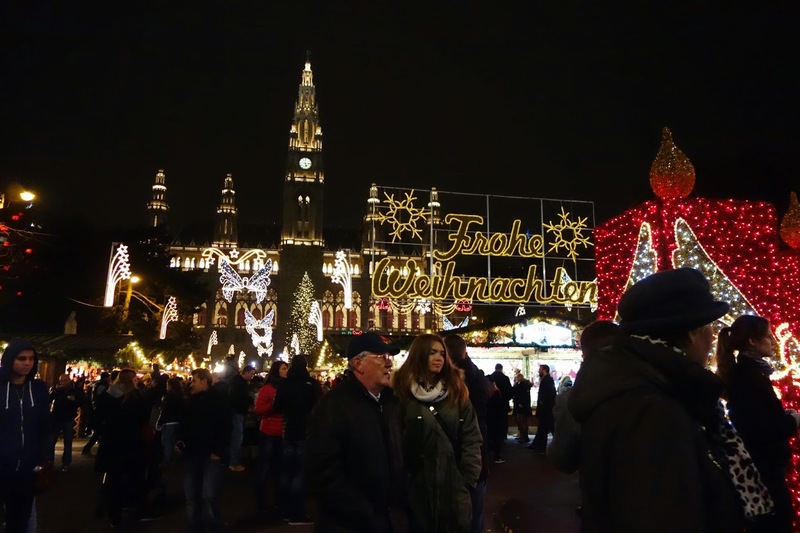 In Vienna, you have a choice of small to large Christmas markets around the city center and off the Ringstrasse. 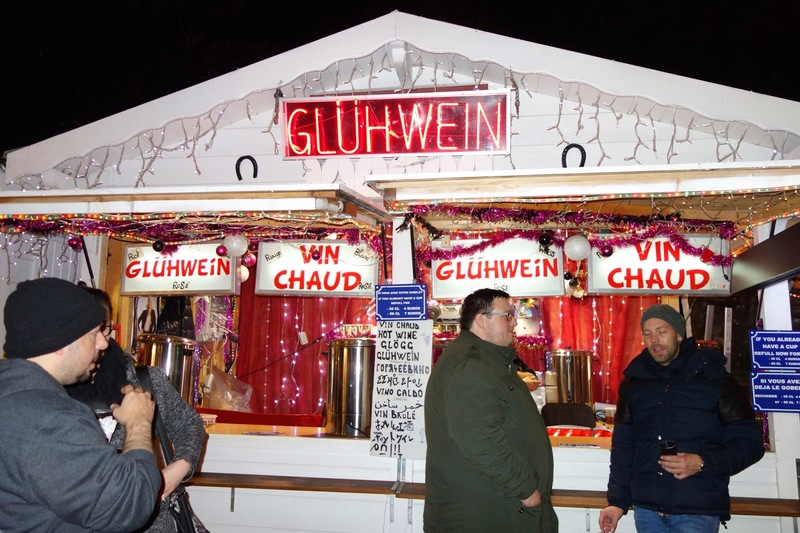 Across from Stephansplatz and near the Austrian National Library, you’ll find two charming markets, each filled with booths of beautiful snow globes (they originated in Austria) and other crafts, as well as Glühwein (spiced red wine), mini donuts, and other goodies. 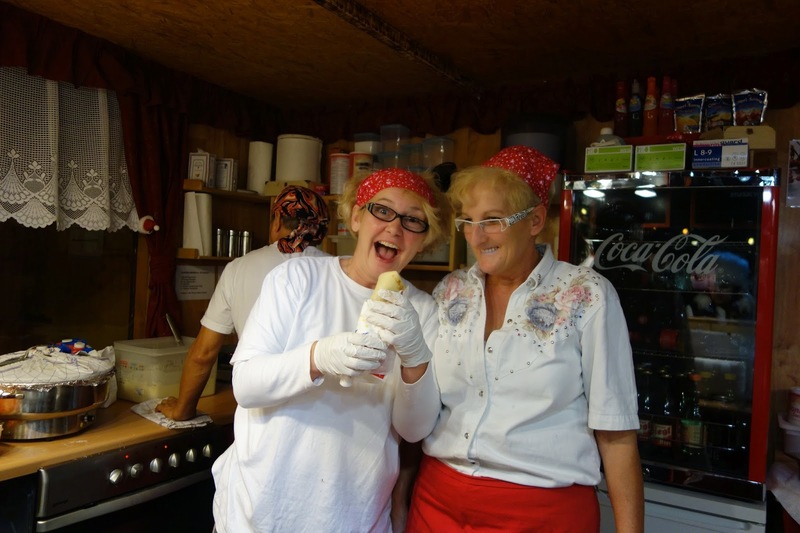 The best, however, is the market by the Rathaus (City Hall), which extends for rows and rows with booths and booths and booths of treats. 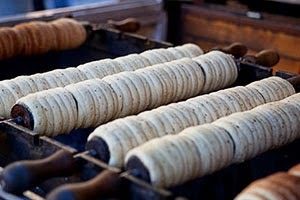 Here you can try a palatschinke (a rolled up pancake) to go with your Glühwein (you pay a deposit and you can keep the ceramic mug), the perfect snack combo to enjoy as you stroll along with the crowds. Where to stay? The best, in my opinion, is the Hotel Imperial on the Ringstrasse. In a great location to experience Vienna's sites, the hotel is five-star when it comes to service, accommodations (gorgeous, gorgeous rooms), and dining and beverage. You’ll pay for the privilege of staying here, but it’s worth every euro. And if you’re a music fan, you’ll love that the hotel sits right next to the Wiener Musikverein where the Vienna Philharmonic play. Also appealing is that the Haus der Musik, an interactive museum explaining music from classical to contemporary, is only a five-minute walk. 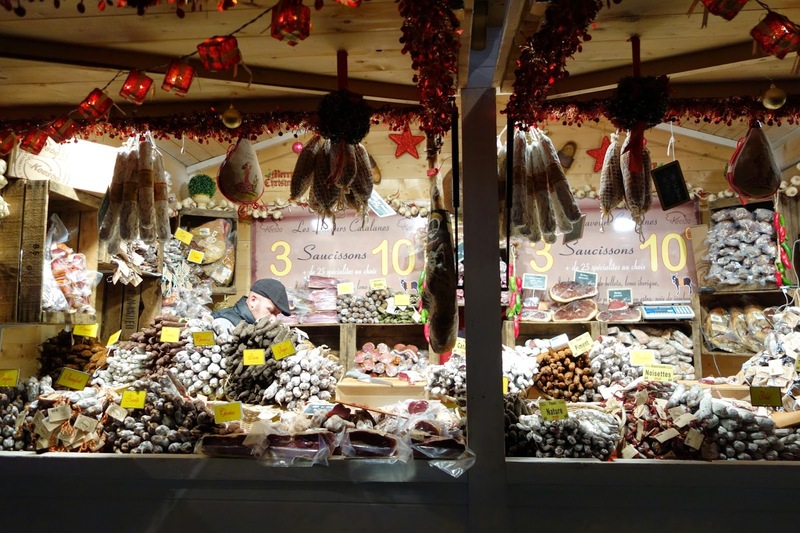 Budapest offers a chance to experience a lovely Christmas market indoors, out of the cold. 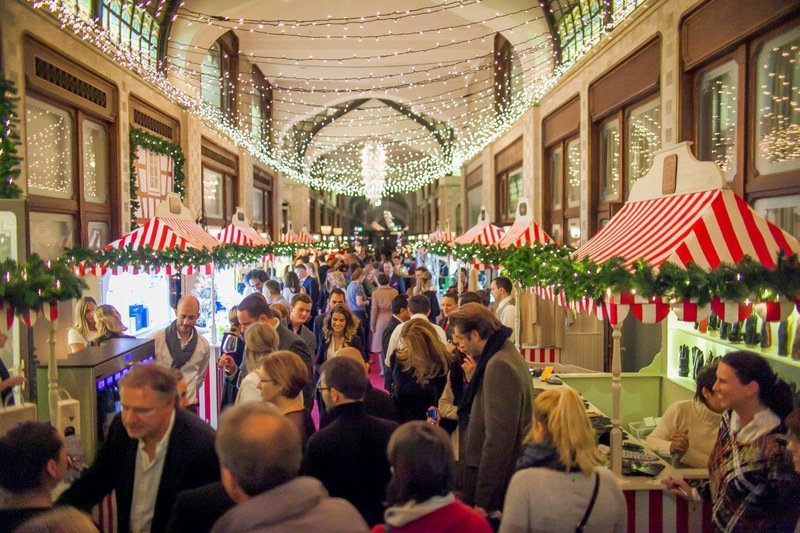 At the five-star Four Seasons Hotel Gresham Palace, the hotel's first-ever Christmas market lasts through December 30 and includes cheery red-and-white striped booths filled with the likes of local porcelain and crystal, Hungarian chimney cakes and more. 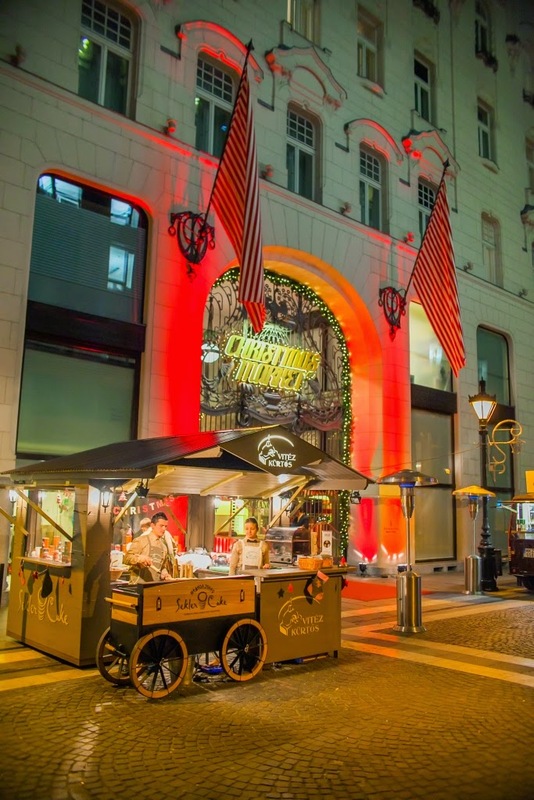 Set in the lobby of the palace hotel, the market welcomes you at the door with a holiday drink cart that doles out hot mulled wine, apple cider, chocolate, coffee and tea. If you’re still hungry after your shopping, you can walk to the end of the hall and enjoy the hotel’s acclaimed afternoon tea, done with panache on china made expressly for the Gresham Palace. 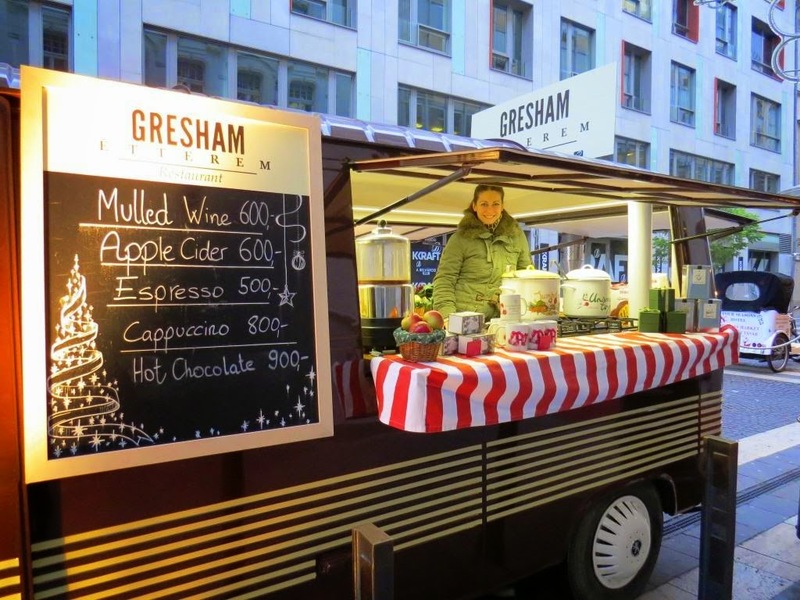 Or, plan ahead, and reserve at the elegant Gresham Restaurant which offers modern takes on Hungarian and international cuisine. And, of course you need a place to stash all of your purchases. This one is a simple choice: the elegant Four Seasons Gresham Palace. In addition to offering some of the most beautiful accommodations in Budapest, along with top-rated service and dining, the Four Seasons is located in the best location in the city, just across from the lovely Chain Bridge connecting Buda (and its castle district) and Pest (where the hotel is located). You’ll also be near the pedestrian walking area of shops and wine bars, which leads to the massive Central Market Hall and the waterfront. (Don't miss taking a night cruise on the Legenda to see the dramatic cityscape lit up along the Danube River.) From the hotel, it’s a short walk to the Jewish Quarter, the fascinating ruin bars, and Andrassy Avenue, the city’s monumental shopping boulevard. A short taxi ride away, the famous New York Café in the stunning Boscolo Budapest Hotel is a wonderful choice for a meal any time of the day, or for live piano music to accompany a pastry and coffee. 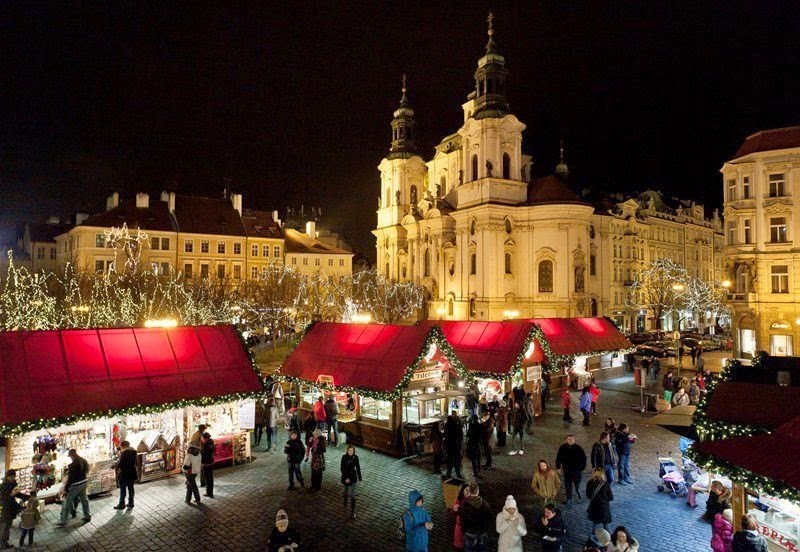 The Old Town in Prague is home to an elaborate Christmas market that attracts visitors from both sides of the Charles Bridge. In Old Town Square near the astronomical clock at City Hall and the ironic Hard Rock Café, you’ll see booth after enticing booth filled with Bohemian crystal, scarves and gloves, and other trinkets. 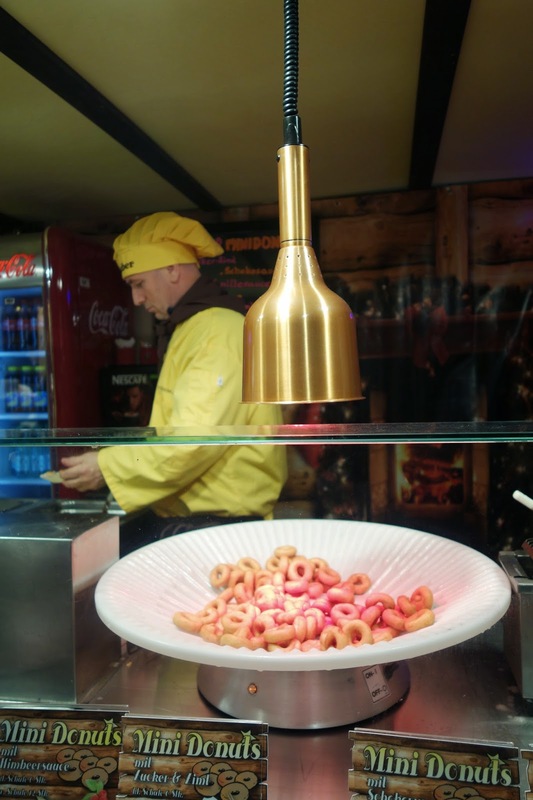 Stop a moment and indulge in one of the Czech Republic’s traditional trzednik, a churro-like creation that will warm you against the wind coming off the river. It goes especially well with a cup of Glühwein. Or, grab a traditional pilsner to help you soak up the lively holiday spirit. 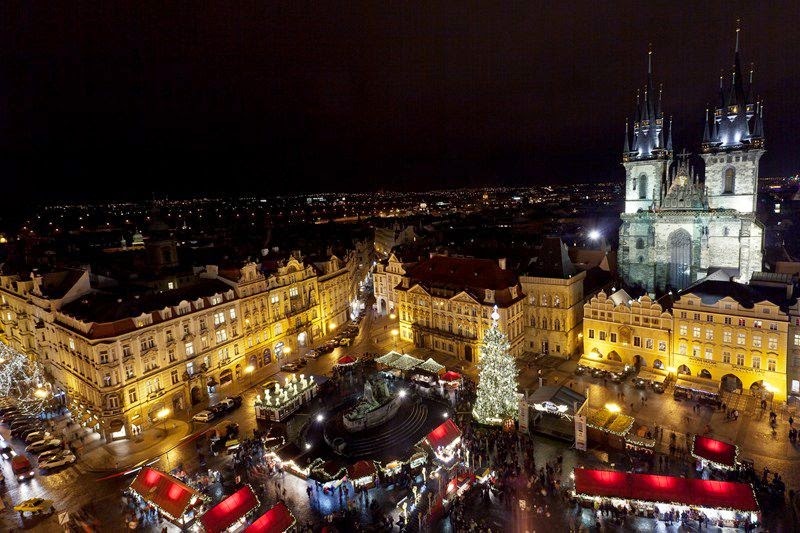 The Christmas market here and the one in Wenceslas Square are both open through January 1, 2015. You can get detailed information and concert schedules from Czech Tourism, www.czechtourism.com. The Mandarin Oriental in the historic Mala Strana quarter (lesser town) of Prague is the perfect place to escape the crowds and regroup. The atmospheric setting of this five-star hotel, built in a former Dominican monastery, is quiet and pampering, with each room a different configuration. Food and drink are superb, as is the service. The Mandarin Spa, built in a former Renaissance chapel, defines luxury. From the hotel, you can stroll to the constantly repainted John Lennon peace wall which attracts hippies and rock ‘n rollers of all ages. Also nearby in Kampa Park is the eerie babies monument, a sort of aliens-meet-Jeff Koons sculpture installation set by the river. If this kind of art doesn’t strike your fancy, you can walk up historic Nerudova Street, with its creative house markers, to the Prague Castle and enjoy some of the city’s most amazing views. For a fabulous meal, take a five-minute walk from the Mandarin to the charming boutique Aria Hotel, where every floor is themed to a different type of music. Coda Restaurant, just off the lobby, offers two indulgent tasting menus: one a Czech version and the other a more eclectic selection of five-star cuisine from talented chef David Sasek. 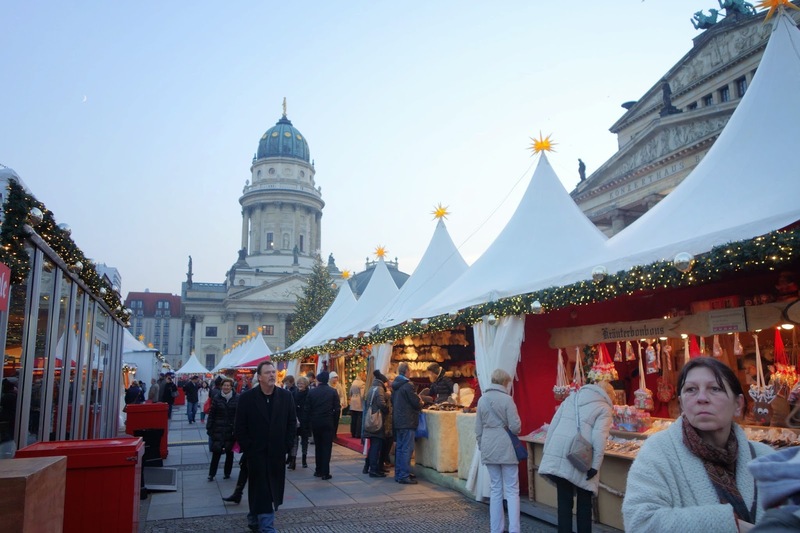 Berlin, not surprisingly, is filled with Christmas markets, a serious tradition throughout Germany. Two, in particular, are worth noting. Close to the S-Bahn, the U-Bahn and the designer shopping area of Mitte, the smallish one that evolves from the Hackescher market is a great place to get your feet wet when it comes to navigating a Christmas market. It’s personal, manageable, and not overrun with people. Ready for more? 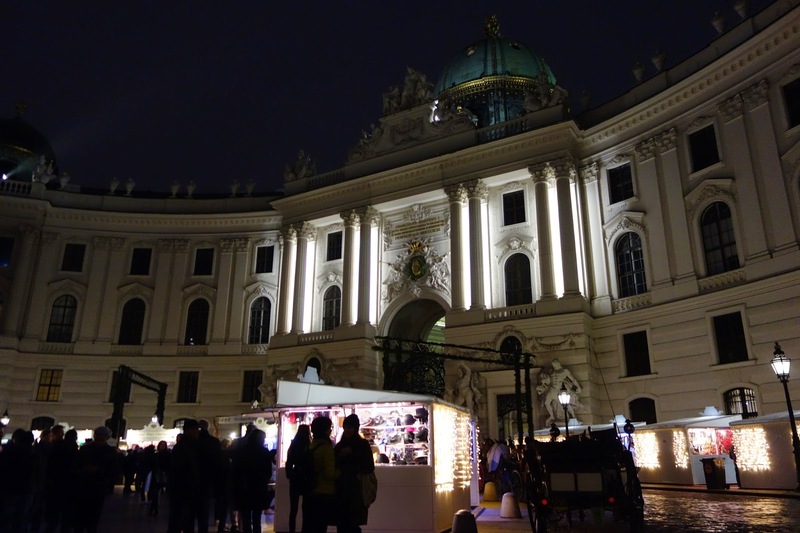 You can walk to the larger Christmas market at Gendarmenmarkt. 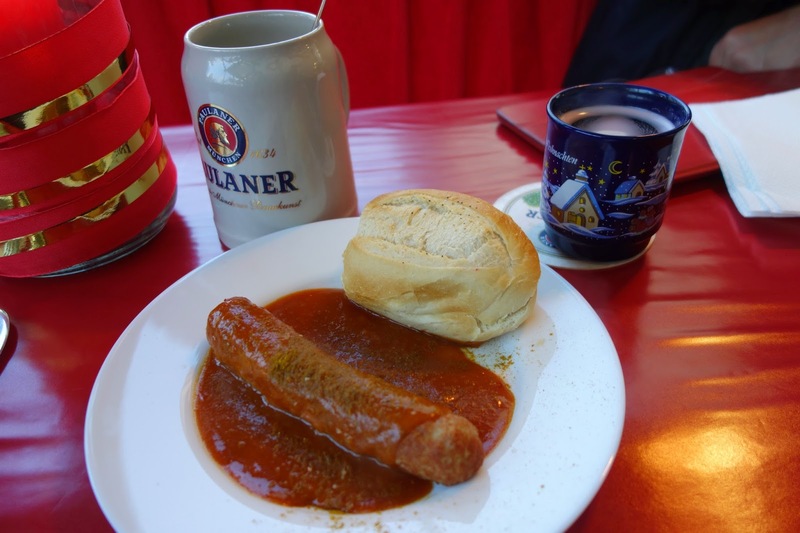 Here, your first stop can be a food break where you’ll feast on currywurst, strudel, and Glühwein, all in a covered tent. You’ll also get a ceramic mug to take home (your deposit covers that). 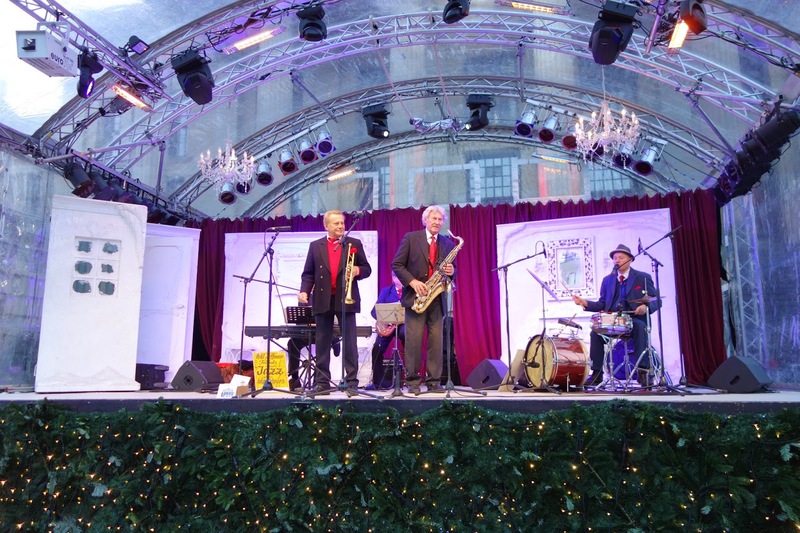 Since the market is set right in front of the Konzerthaus, there’s lively music on-stage to keep your mood festive while you walk among the booths. 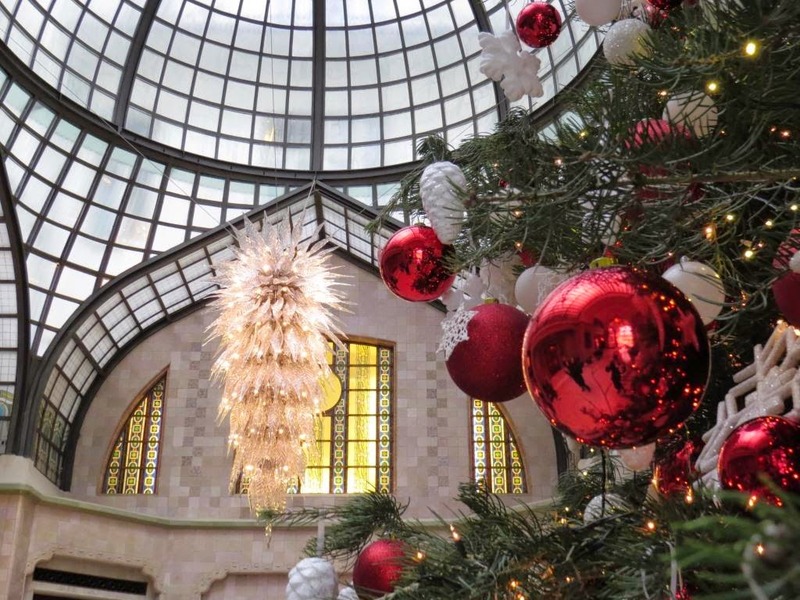 Enjoy the crystal, holiday clothing, and merriment as you dance your way to the tunes of a traditional band. You could stay at one of the city’s more lavish hotels like the Alden Kempinski or the Ritz-Carlton near the Brandenburg Gate and Potsdamer Platz, or revel in being in the East Berlin area of Mitte at the trendy, well-located Amano Hotel. On weekends, the hotel turns into one massive DJ party, with the buzzing bar often overflowing into the hotel’s lobby. It’s sort of a W hotel, Berlin style. Berlin’s well-connected mass transportation system is easy to access from the Amano, with stations ten minutes away at most. But you just might want to stay where you are, as Mitte is the city’s buzzing center for dining, restaurants, sleek cafes and unusual tributes like the Ramones and John F. Kennedy museums. 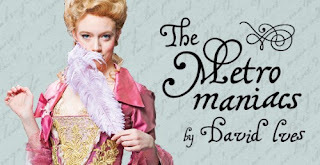 Thanks for the nice read and the great pictures. As the song goes "...and I think to myself, what a wonderful world..."